“My process starts from a board, or canvas that I’ll cover with a thick coat of black paint. For me, it eliminates all other elements, and possibilities, allowing me to get at only what needs to be there. Usually it’s in the form of old memories that are pulled from somewhere in the backlogs of my brain. It takes a lot of concentration, but something always comes screaming through. Afterward, it’s just a mad rush to bring it out of the black before it’s forgotten, or I have to start all over. It’s actually a really exciting process for me, and usually accompanied by some fun music. I guess it’s kind of a Zen approach to art, but I really don’t label myself as such. 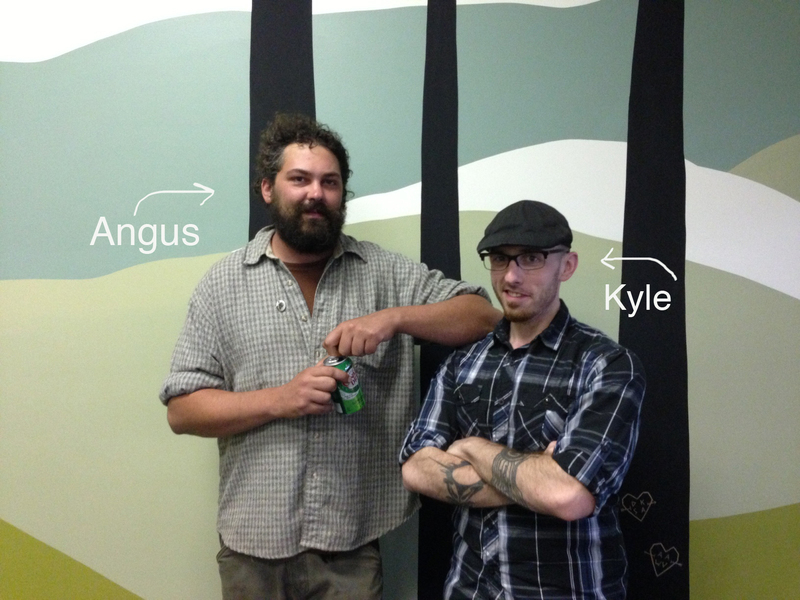 I ran into Kyle and Angus recently at an art opening at Larkin Arts. When I cornered them for a photo, I asked Kyle if they had any older photos together. Much to my surprise, Kyle sent me this gem. 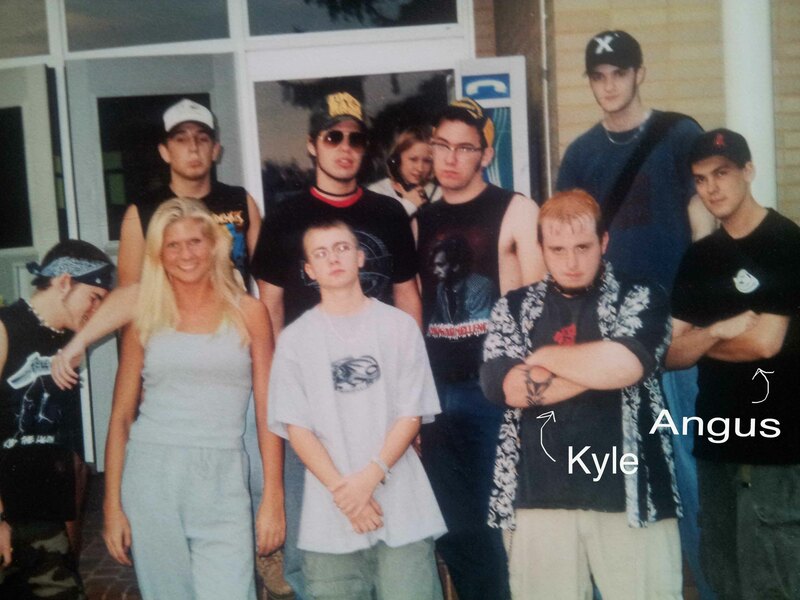 Check out Kyle and Angus in high school! Look for Kyle’s portrait of Angus at the August Art Lotto opening as well as the portrait of Kyle which is being created by Parvina Mamatova.